The International Hot Rod Association (IHRA), the world’s second-largest drag racing sanctioning body, is gearing up for 2017 with two National sportsman programs highlighting the season. The bracket racing based Summit SuperSeries will make its return to IHRA-sanctioned member tracks for the 16th season and the newly formed Summit Sportsman National Championship, which takes the place of the Summit Pro-Am Tour regional format, will make its debut for class racing competitors. The points funds for both sportsman programs will be greater than and pay more places than any other class racing series in existence. The 2017 edition of the IHRA $200,000 Summit SuperSeries will be contested at nearly 100 IHRA member tracks. The program will feature the same format and structure as what was introduced in 2016 but with an increased and expanded national championship purse. IHRA Summit SuperSeries participating tracks will crown a Summit SuperSeries track champion and those champions are invited to compete in the Summit World Finals in Memphis, Tennessee at the end of the season. The increased points fund is as follows: the championship prize package in Top and Mod is $20,000 to win and $7,000 to the runner-up, sixth round $2,000, fifth round $1,000, fourth round $700, third round $600, second round $400 and first round $300. The Junior Dragster championship payout is a brand new turn-key JR Race Car junior dragster plus $3,000 to win, $2,000 runner-up, sixth round $1,000, fifth round $800, fourth round $500, third round $400, second round $350 and first round $300. 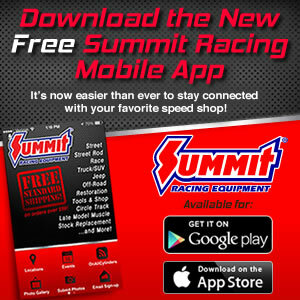 “Summit Racing Equipment is dedicated to supporting competitors at all levels and through a variety of different platforms” said Motorsports and Events Manager Jim Greenleaf. “It takes the entire family of IHRA racers, member tracks, sanctioning body staff and Summit Racing Equipment working together to move the sportsman racing component of IHRA Drag Racing to the incredible level of support and enthusiasm we have today. We are thrilled to have just completed the 15th season of the Summit SuperSeries and we are looking forward to seeing how the new format of the Summit Sportsman National Championship is received by the class racers,” Greenleaf continued. The Summit Sportsman National Championship will launch in 2017 and aims to move IHRA class racing away from a regional structure and focus on a national structure. The Summit Sportsman National Championship is designed to provide a more enjoyable and competitive program through an industry leading points fund, flexibility of schedule and claims structure. The new National Championship for class racers will be determined using points claims from the best seven of the first ten events the racer attends. Competitors will be scored against each other using a national points system and may race at whatever event they choose without having limitations based upon regional boundaries. The industry leading Summit Sportsman National Championship points fund will be greater than and pay more places than any other class racing series in existence. The Top Sportsman, Top Dragster, Super Stock, Stock, Quick Rod, Super Rod & Hot Rod National Champion will be awarded $15,000, runner-up $5,000 and third-place $3,000. Junior Dragster will be comprised of one class with a $2,000 grand prize to the Champion, $1,500 runner-up and third-place $1,000. The IHRA was the first organization to live stream the entire series of class racing events and in 2017 will build upon that platform by announcing a new media partnership with a major network provider. The new partnership will provide unprecedented live stream coverage of each Summit Sportsman National Championship event in its entirety with an industry leading provider of sports content. This partnership will be announced shortly and will further demonstrate IHRA’s dominate role in providing national exposure to sportsman competitors. “IHRA continues to build, value and showcase sportsman racing programs at every level and the Summit programs are the foundation on which the IHRA thrives” said IHRA vice president Skooter Peaco. “No matter what changes a new racing season may bring our way, our member tracks and sportsman racing programs consistently remain at the top of our priority list. 2017 will be another great season of racing within the IHRA member track family and I’m looking forward to seeing the hard work that our team puts into these programs come to life in less than 60 days from now”. The IHRA is owned and operated by IRG Sports + Entertainment™, a TPG Specialty Lending company, and promotes professional and sportsman racing for drivers of all levels. The IHRA sanctions more than 100 motorsport facilities in the United States, Canada, Australia, New Zealand and Bahama's and welcomes 80,000 racers annually to their IHRA-sanctioned facilities. The IHRA oversees multiple sportsman racing programs including the Summit Sportsman National Championship, Summit Racing Equipment SuperSeries, and Summit Racing Equipment Tournament of Champions.